This one is said to be the star of the new advertising campaign, this round frame with butterfly-effect angles is made entirely from metal and defined with thin, light lines. A classic! Refined teacup shape is reinterpreted with a contemporary spirit by combining the solid acetate front with the luminous metal temples. This tea-cup shaped style with a keyhole bridge stands out for its flexible construction. The design stands out for the metal studs on the front and the contrasting temple tips. The classic rectangular shape is revisited with oversized, sculpted-effect proportions, enhanced by the refined two-tone treatment on the acetate front. The rounded shape of these acetate glasses is designed with a unique construction, consisting of three layers of acetate/metal/acetate. The front features a metal bridge bar, extending across the top from end to end; iconic customisations include the laser-engraved Longchamp logo on the right lens and the horse symbol on the left temple. This timeless aviator has a metal frame decorated with a leather application on the top bridge bar and around the lens profiles – a bold detail available in the colours of the accessory palette. 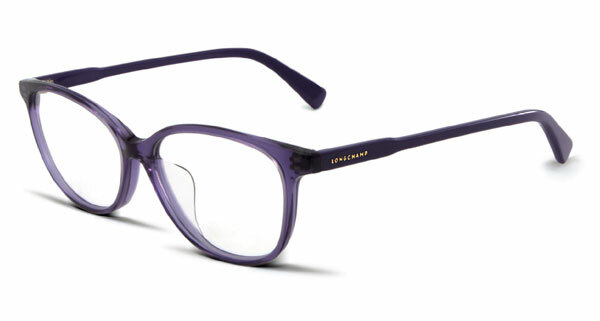 This optical style presents a soft cat-eye shape that infuses classic design with a smoothly feminine and modern twist. Its simple lines combine the semi-transparent front with tone-on-tone temples, both detailed with the golden Longchamp logo.